Crikey readers respond to Tony Abbott's English-first crusade, the role of police surveillance in preventing terrorism, and micro-parties in the Victorian election. 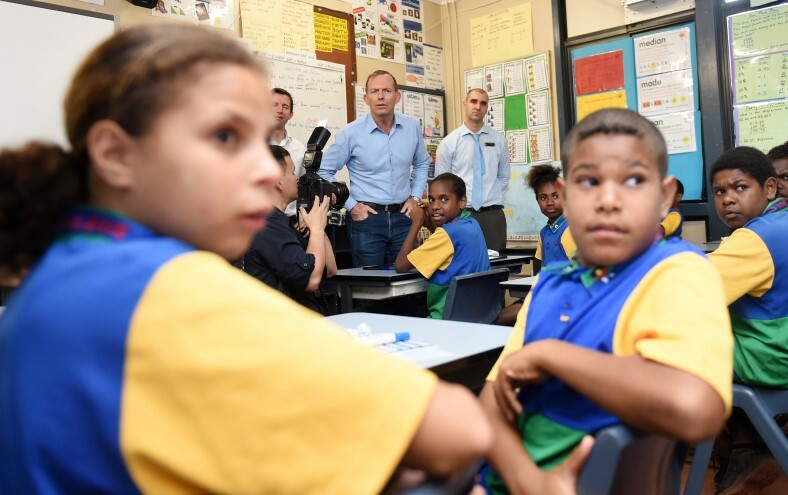 Yesterday, readers attempted to figure out the psyche of Tony Abbott, back in the spotlight with his push for English-first education in remote schools. Elsewhere, many responded to Bernard Keane on the failure of Australian intelligence and surveillance agencies to prevent attacks, despite their ever-more draconian powers over regular Australians. And, as the Victorian election micro-party preference dance continues (with preferences recently made public), we received some insight from the Victorian Socialists, one of the many contenders in the race. Rais writes: Mature adults can become fluent in languages they didn’t learn in infancy. Abbott doesn’t need to go very far to observe that. His friend and colleague Mathias Cormann didn’t speak a word of English until he was in his twenties. Although I’m Australian I have had the same experience myself in a second language, as have many immigrants to this and other countries. There is no educational reason why Aboriginal children shouldn’t learn to read and write in their own language first and then go on to master English. Abbott may have other reasons for enforcing English but they aren’t educational. DF writes: So this bloke who wanted to go to fight in Syria is regarded as not a threat, but a Sri Lankan uni student whose behaviour and reputation were impeccable, gets locked up for a month before the plods realise the handwriting on which he was arrested was not actually his. I get nauseous every time I hear a politician say we have the best police and intelligence agencies in the world. Let’s face it, the coppers are mostly people who could not get a job in an agency that required personal intelligence. Corey Oakley, secretary of Victorian Socialists writes: Stephen Mayne last week warned about “dirty backroom deals” being done in Northern Metro to unseat Fiona Patten and the Reason Party. Well now the preferences are public, we can see where the dirty deals really are. In Northern Metro and every other upper house seat, Fiona Patten’s Reason party is preferencing the Liberal Democrats — whose leader David Leyonhjelm is a free market obsessive — above the Greens and Labor. Patten has said that voting socialist would risk electing a right winger. Actually it is Reason’s actions that risk putting far right extremists in the parliament. Victorian Socialists is preferencing the Greens, Reason, Animal Justice and Labor above all the other parties to their right. That decision will make it harder for us to win, but we aren’t going to help put conservatives in Parliament just to get ourselves elected. It’s worth noting that Animal Justice has also taken a ride on the Glenn Druery carousel, preferencing a range of wacky, unpredictable micros over the Greens and Labor. It would have been good if Mayne’s article had reflected who the dealmakers really are. A fair point by the Socialists, which have indeed take a principled position on their preferences based on the ideology of who they are supporting. When has Tony Abbotts view been anything other than ideological This is just yet another reason for the man to be rejected from parliament – permanently.